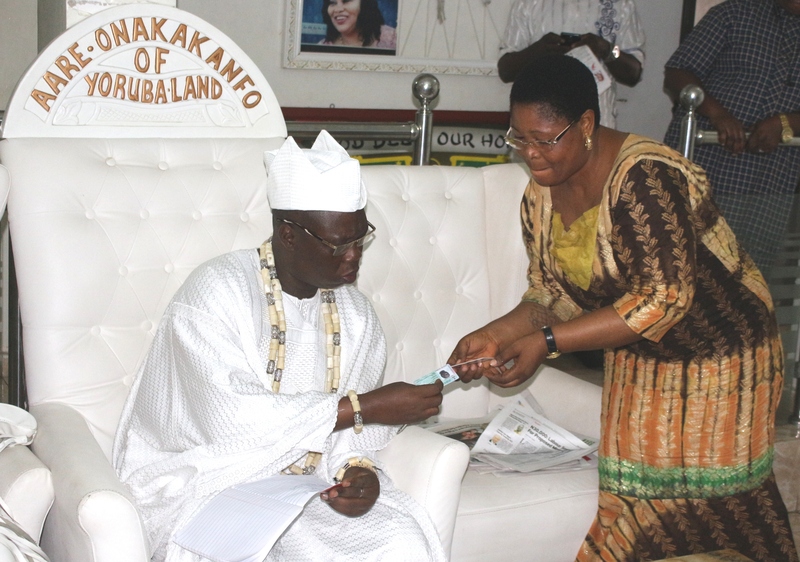 Aare Gani Adams receiving his PVC from INEC Official, Mrs Grace Asemoloye, at his Omole Phase 2 residence,Ikeja, Lagos,while,his wife, Ayinba Mojisola Adams looks on. Meets Romola Adeola, Nigeria Youngest PhD Holder At 26 – City Weekends Delights . OGUN 2019: I WILL NEVER BUY MY PEOPLE TO WIN ELECTION- OLUWAYOMI KUSHIMO .